We pounced on Potters Field Park when we heard that Ukrainian festival, Days of Ukraine was taking place. 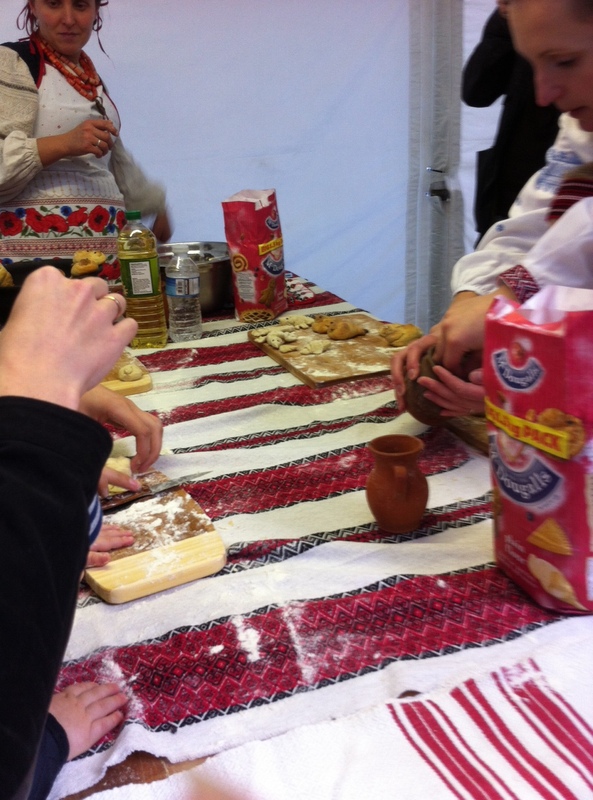 There was loads of stuff going on, so we immersed ourselves in Ukrainian culture for a couple of hours. Unfortunately amidst the excitement I forgot to make any notes so forgive me if this write up is a little sparse! As we were very hungry upon arrival, we eagerly headed straight to the food stalls. Turns out everyone else had the same idea as the queue was absolutely ridiculous, got to the point where we were timing how long it was took (45 mins) and critiquing the workflow the proprietors had chosen. The people serving didn’t even seem like they were aware of the massive queue and continued working at a leisurely pace. Maybe it’s just the Ukrainian way, but these guys definitely wouldn’t have got very far on The Apprentice. They offered us one of these when we got to the front, they weren’t very nice and I just pretended to eat all of mine. We finally received our ‘Deruny’ which were potato pancakes served with wild mushroom sauce and sour cream. It was really delicious and very filling, just the kind of thing you need on a breezy day by the river, just a shame we had to sit on a kerb and eat it! Disappointingly, there was a bar but there were no Ukrainian beers available, just Heineken which I’m pretty sure isn’t Ukrainian..
We stuck around to soak up some of the offering entertainment, including a few Ukrainian bands (+ the national anthem!) and perused the stalls for the native crafts (pottery and embroidery, mostly), and also watched children make bread the Ukrainian way by making them into little birds. 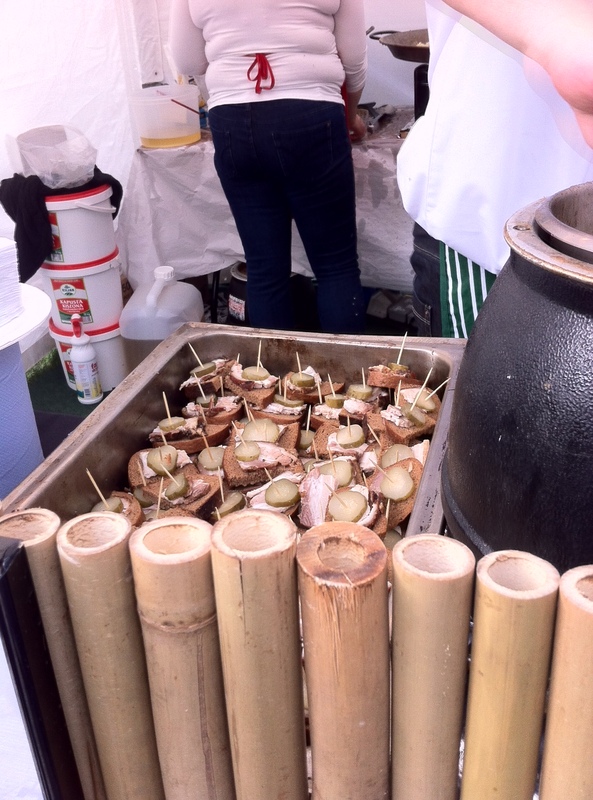 This entry was posted in Uncategorized and tagged days of ukraine, deluny, Dining, dinner, Dinnergeddon, eating, Eating out, festival, Food, London, potato, potters field park, tower bridge, ukraine by dinnergeddon. Bookmark the permalink.